Historically, all water-based marbling was accomplished with watercolor or gouache paints formulated from natural pigments and binders. The colors of the historical, natural palette are subtle but pleasing. 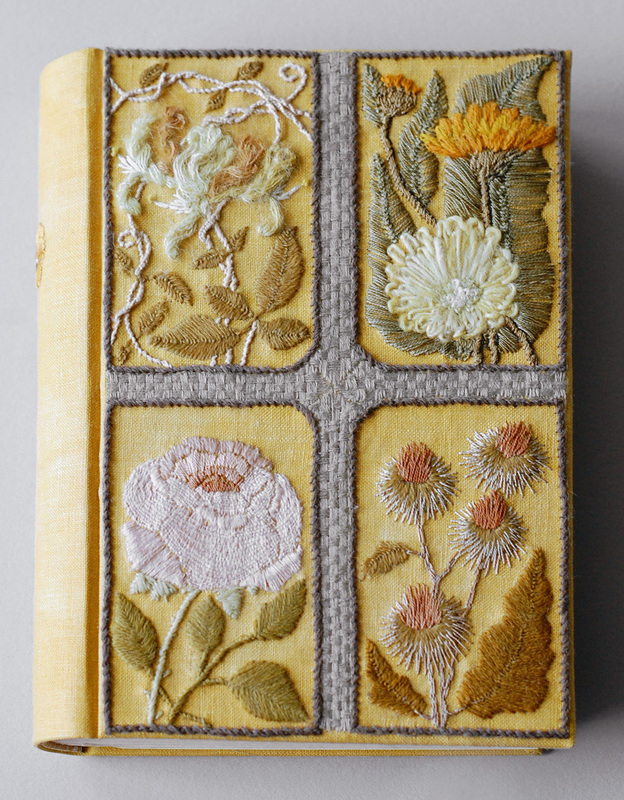 Examples do exist of cloth marbled with watercolor paints, notably the cover of Charles Woolnaugh’s 1853 book The Art of Marbling. 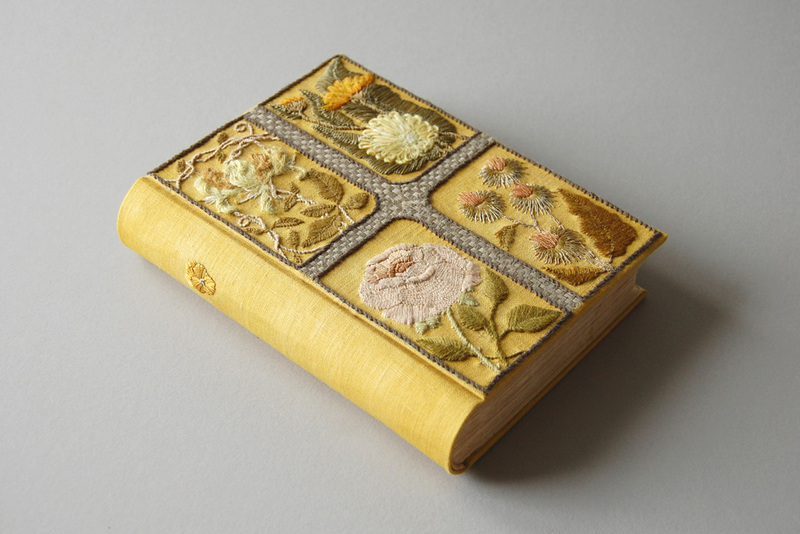 Hand marbled book cloth was produced beginning in the 1830s as a durable, inexpensive alternative to leather. In search of the most ecologically sustainable practice, nontoxic naturally-derived watercolor paints are a great option. Together with carrageenan size, natural ox gall, and natural fiber fabrics they make a biodegradable toolkit. Watercolor paints have a noticeably longer drying time and do not posses some of the quirks that give acrylics a different visual and working character. Acrylic paints, made from synthetic pigments and a polymer binder, were first developed in the mid-20th century. 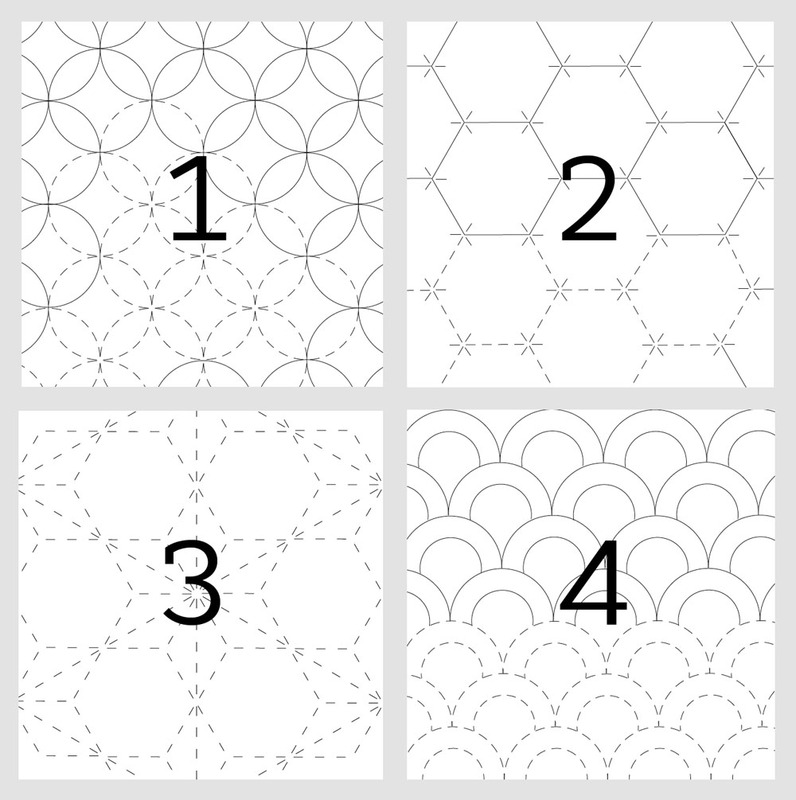 They are water soluble when wet, but dry to a water-resistant plastic film. 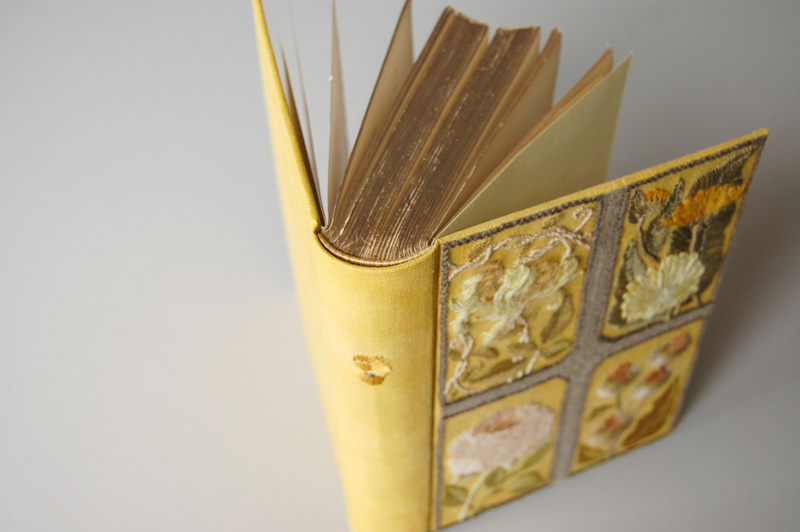 Most contemporary literature recommends acrylic paints such as Golden Fluid acrylics, Jacquard Dye-Na-Flow, Jacquard Marbling Colors, or Boku Undo inks (made with a PVA binder) for marbling fabric. The fabric must be pre-mordanted, and some sources recommend heat setting or curing the fabric after marbling to increase washfastness. 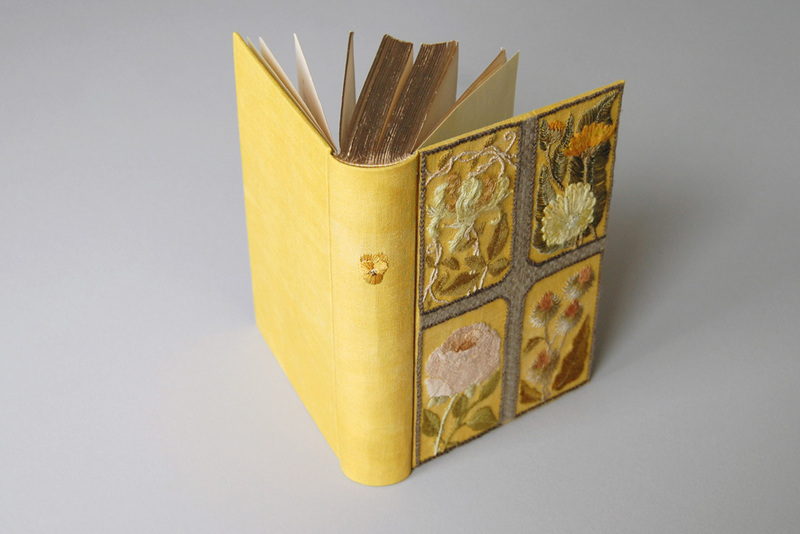 Some marblers also add a binder designed for applications on fabric, such as Golden GAC 900, which requires heat setting. 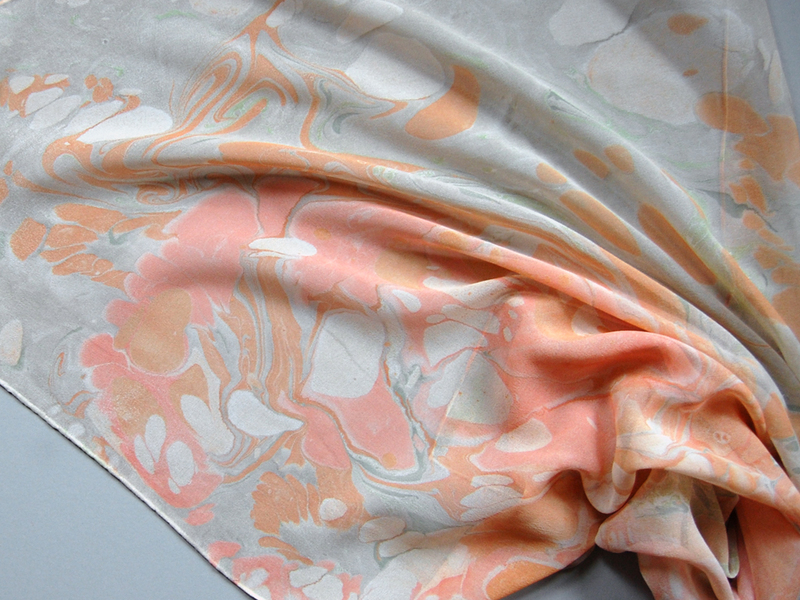 The color saturation, water-resistance, and flexibility of acrylic paints makes them a great option for fabric marbling. However, acrylics leave a slightly plastic hand on delicate fabrics, and they are not the most environmentally friendly choice. 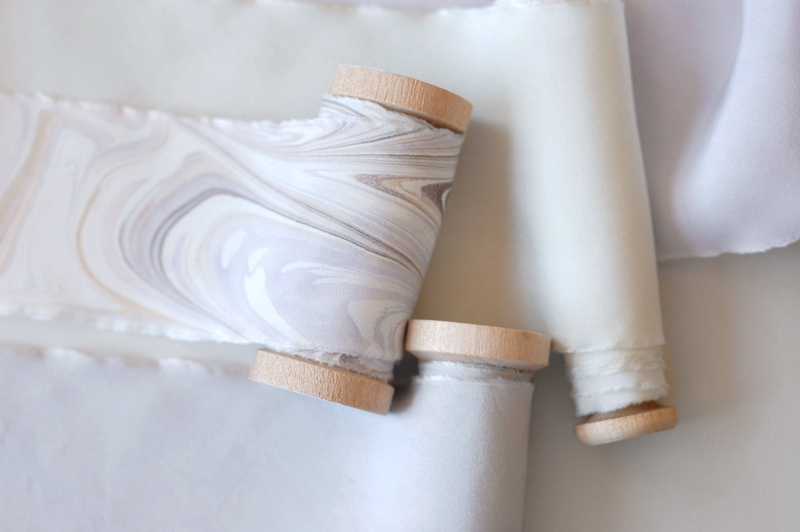 We know that watercolor paints can be used to marble fabric, but how do they compare to acrylics? 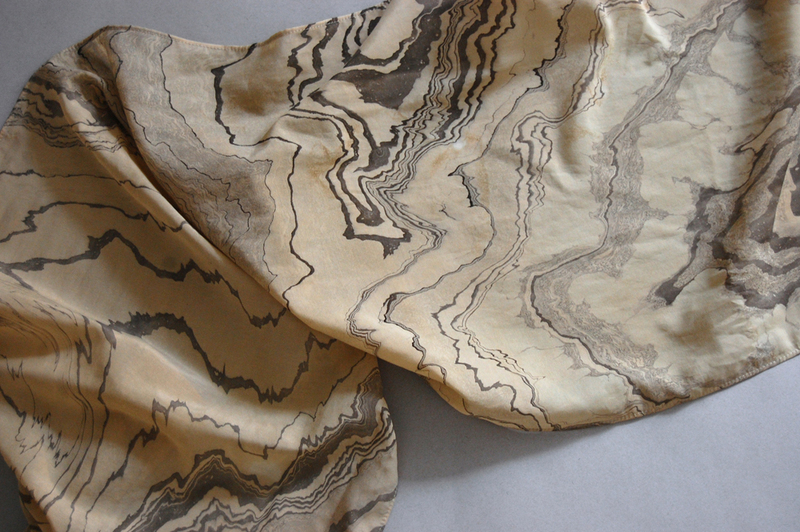 Marbled fabric was historically used primarily for book cloth, which requires durability but not washfastness. 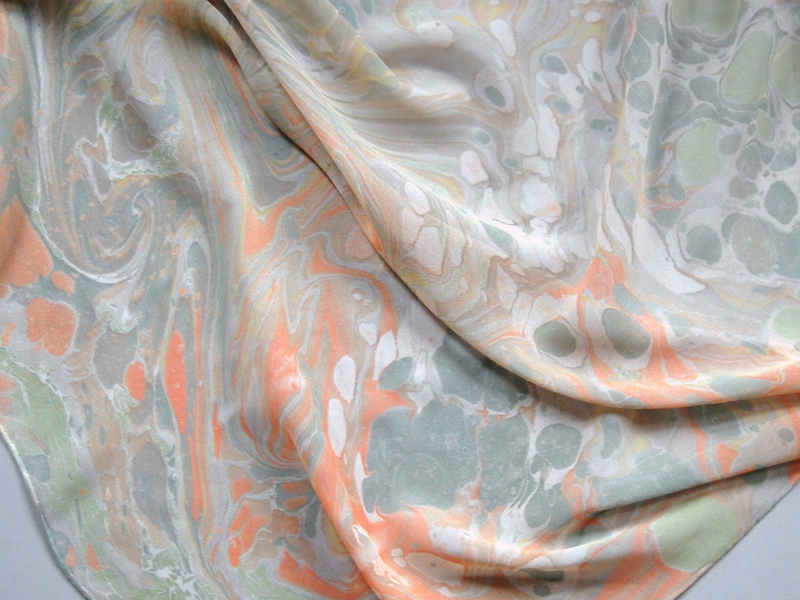 Continuing my informal marbling experiments, I tested both watercolor and acrylic paints on fabric for washfastness. 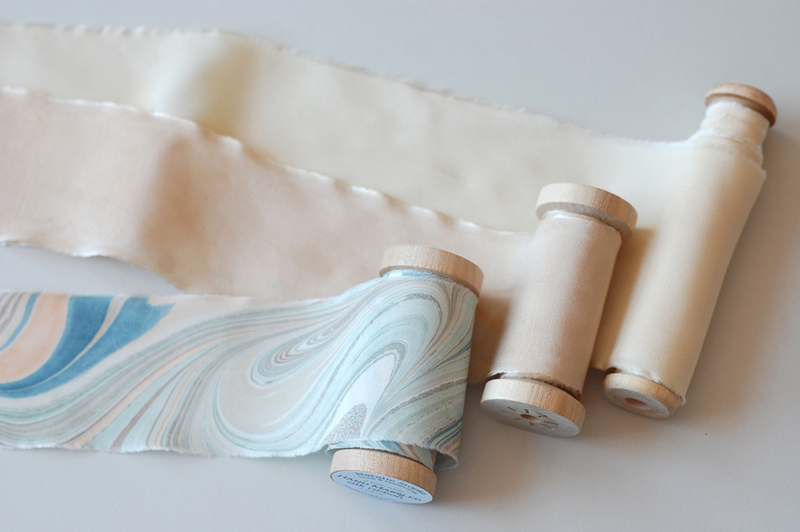 Mordanted silk and cotton samples were marbled with watercolor and acrylic paints. One swatch was held back as a control, and a second swatch was run through the washing machine and dryer on a normal setting twice. 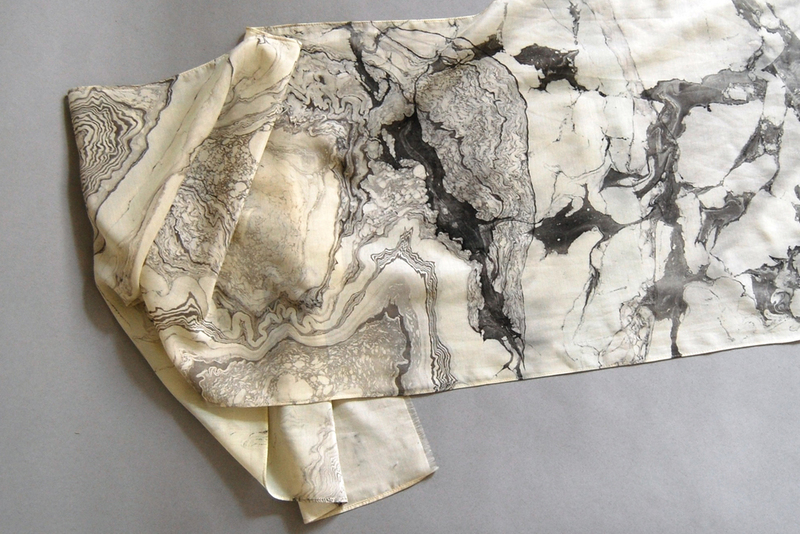 I would usually hand wash or launder marbled fabric on delicate, and always line dry! But for the sake of this experiment, I chose to accelerate the wear and tear marbled fabrics are exposed to over repeated washings. The watercolor paints printed beautifully. The slightly less saturated palette is due to my choice of historical pigments. But it is clearly evident that watercolor paints are not durable enough to withstand laundering. 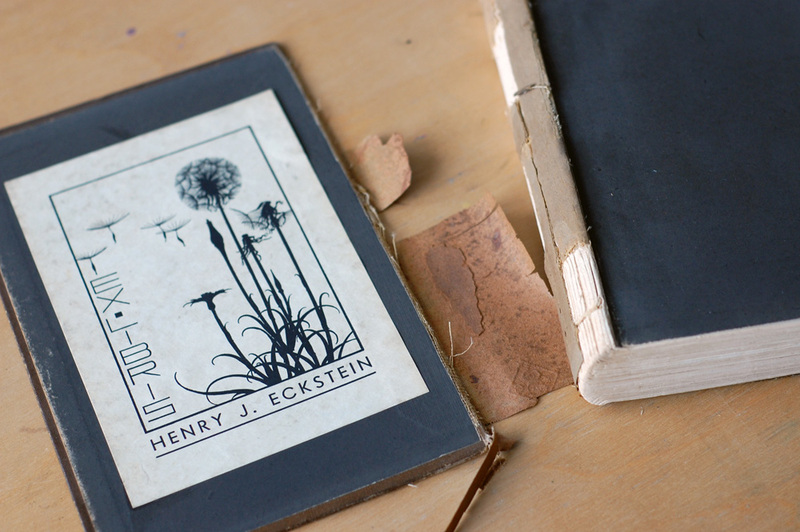 While the acrylic sample 2B has suffered somewhat in washing, watercolor sample 1B is much the worse for wear. If anything, the results on cotton are more extreme. While the laundered acrylic sample 4B has faded only slightly, watercolor sample 3B has nearly vanished. 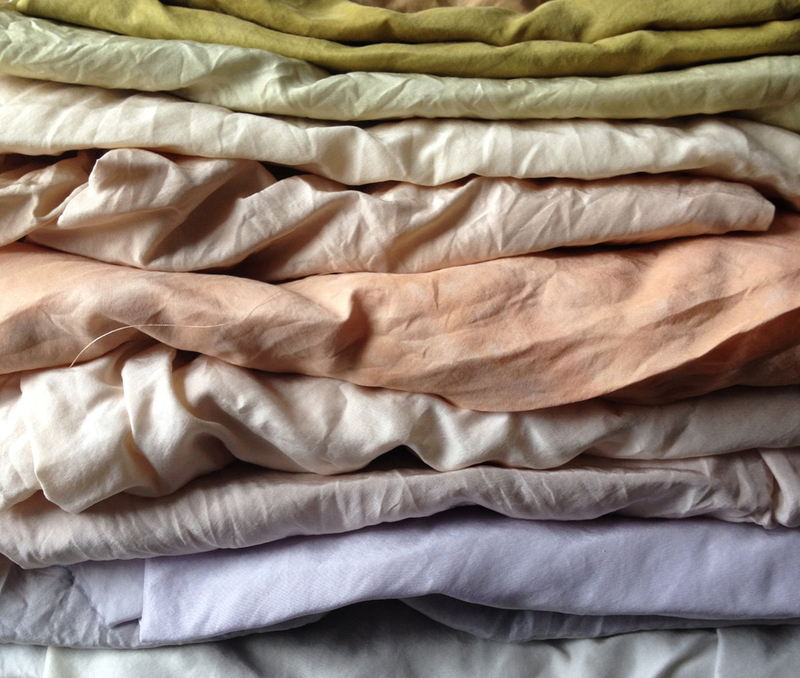 In natural dyeing, we often heat set dyed fabrics to catalyze bonding between the dye colorants and mordant. 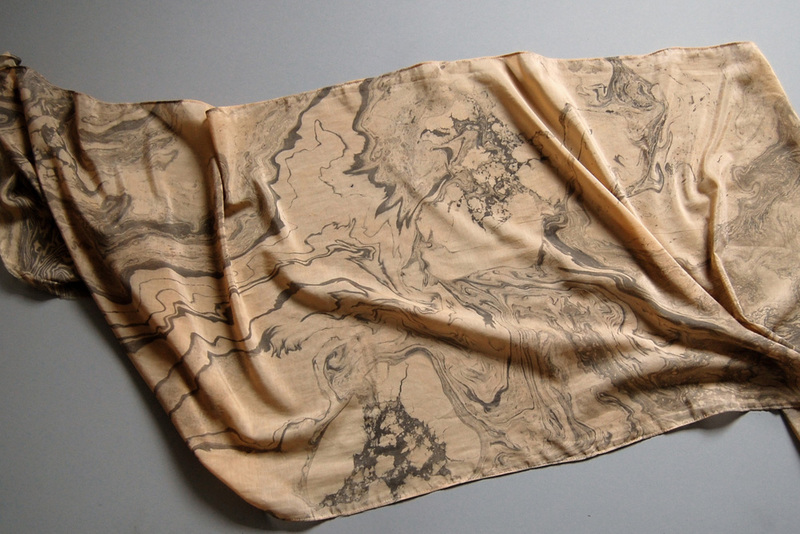 I had hoped that heat setting watercolor marbled fabric might likewise facilitate permanent bonding to the mordanted cloth. However, watercolor swatches heat set by ironing showed no discernible increase in washfastness in this experiment. 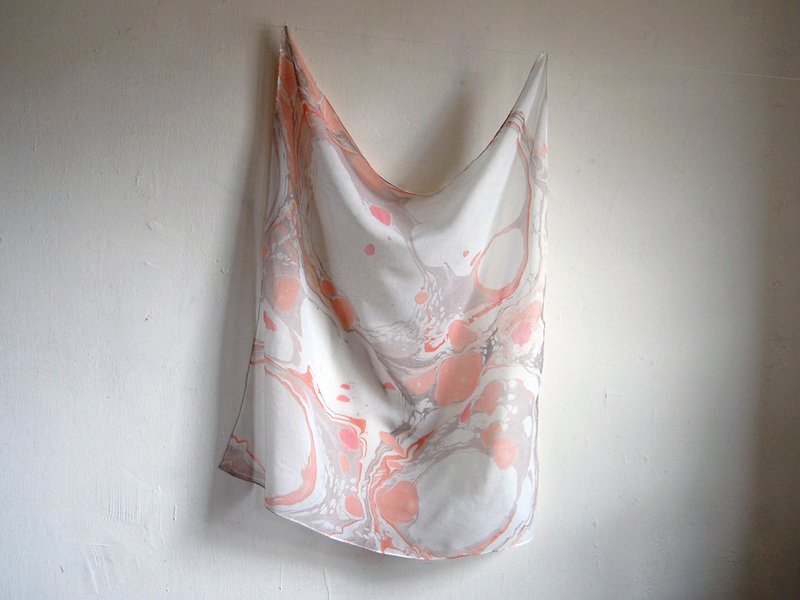 Watercolor marbling is perfectly adequate for fabrics that do not require laundering. 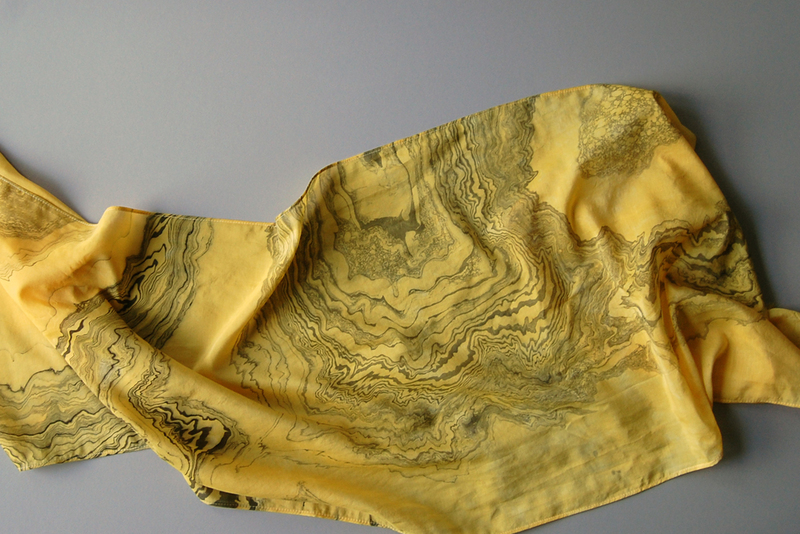 Choose an absorbent fabric, then scour, mordant, rinse, dry, and iron it prior to marbling. Heat setting or curing the print is not necessary for fabric that will not be washed or subject to much abrasion (but it certainly doesn’t hurt). 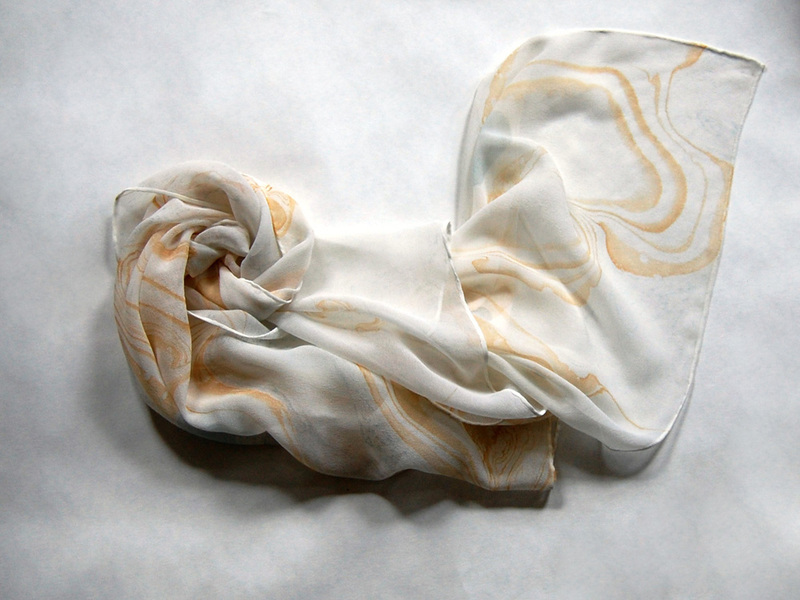 Based on this experiment, watercolor marbling is not recommended for fabrics that need even infrequent washing. 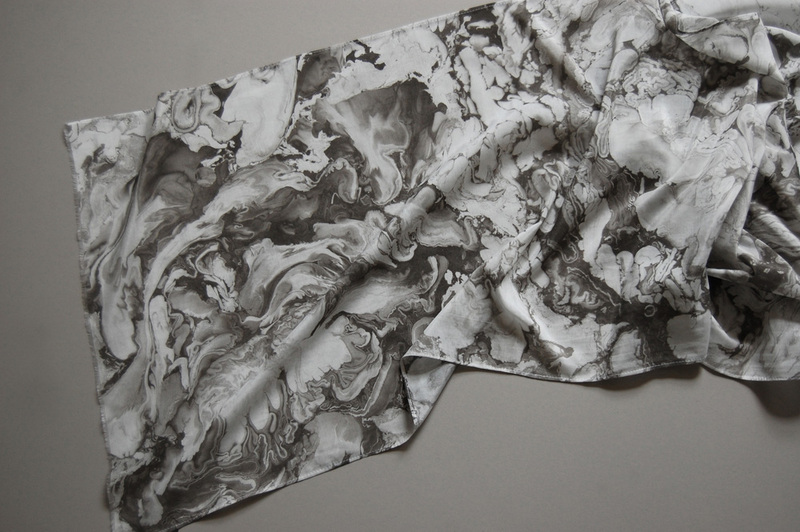 Acrylic paints are the best choice currently available for water-based washfast marbling on fabric. To make your prints as durable as possible, choose an absorbent fabric, then scour, mordant, rinse, dry, and iron it prior to marbling. 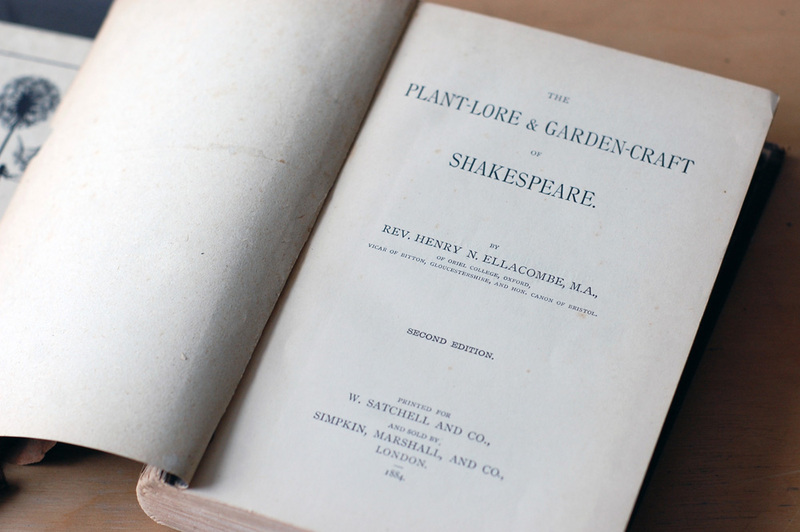 After marbling, very gently rinse the print to remove excess pigment and size. Hang to dry thoroughly. Iron to heat set acrylic paints following the manufacturer’s instructions, or allow to cure for 1-2 weeks. You may now choose to wash the printed fabric with a fabric softener to give it a soft hand. 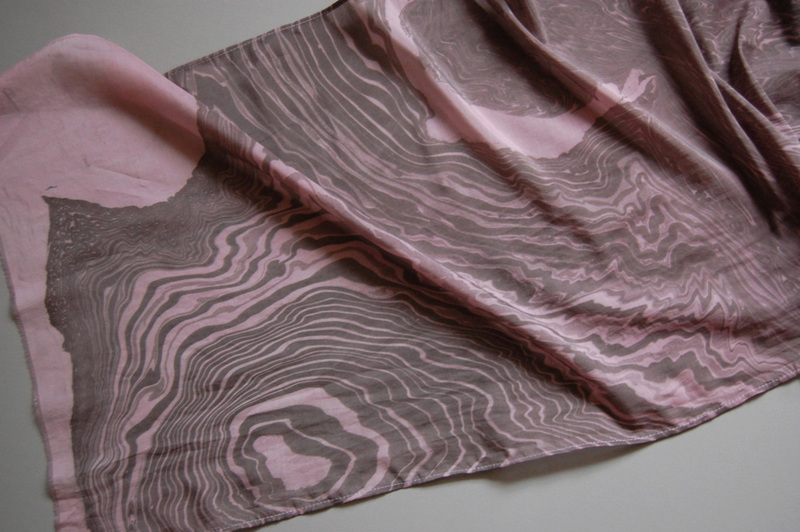 Always wash marbled fabrics by hand or treat as delicate, and line dry. 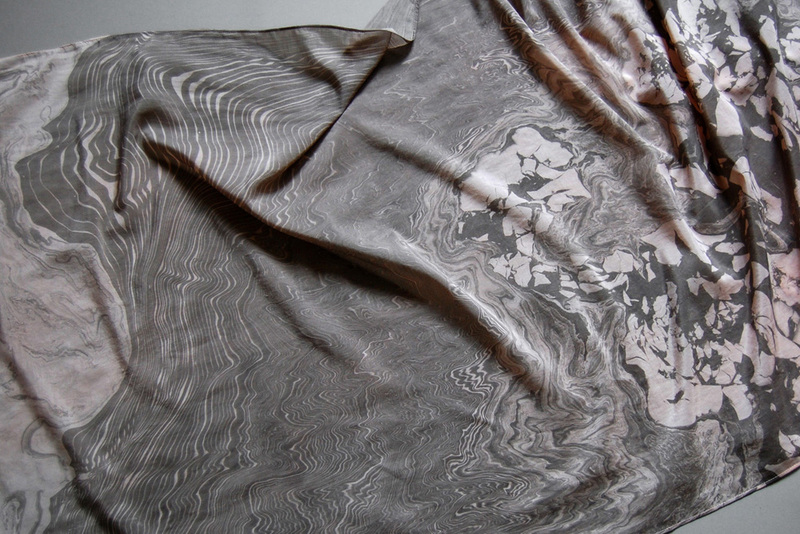 Even the most permanent marbled prints are subject to fading if washed often or treated roughly, as the fibers supporting the print are gradually broken down. As always, please be in touch to share your marbling experience, recommendations, and resources!